Nestled in a private bushland by the water’s edge on South Bruny Island, the property offers a 4-bedroom unique historic rustic style home with the nature surroundings. Centrally located in Alonnah Manfield Seaside offer panoramic views with amazing sunsets. Short stroll to Hotel Bruny restaurant, direct access to swimming beach and a walking track. Manfield City is perfectly located in the quiet street in the stunning location of Rosny. Within a 10 minutes drive to Hobart City and one and half hours to Bruny Island. Waterfront view, 2 minutes to the beach and Park. 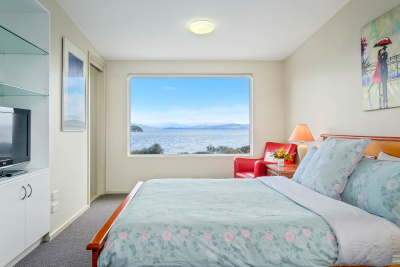 This sea view cottage is your perfect beach getaway of four on Bruny Island. 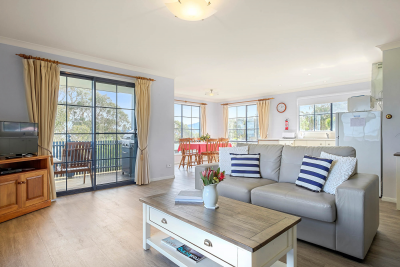 Short stroll to a swimming beach and the foreshore track, within 2-minute drive to Alonnah shop and Hotel Bruny Pub & Bistro. The house is pet friendly with a fully fenced yard. 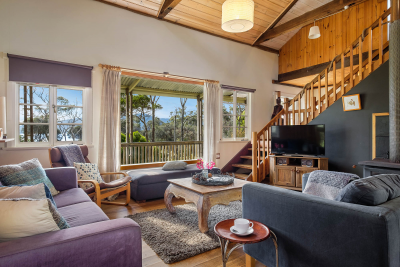 Te Kuiti is a smartly furnished 2 level holiday home set in Australian bushland with panoramic views of the D’Entrecasteaux Channel and the Tasmanian coast. Te Kuiti is the perfect place to relax and take in all that Bruny Island has to offer.